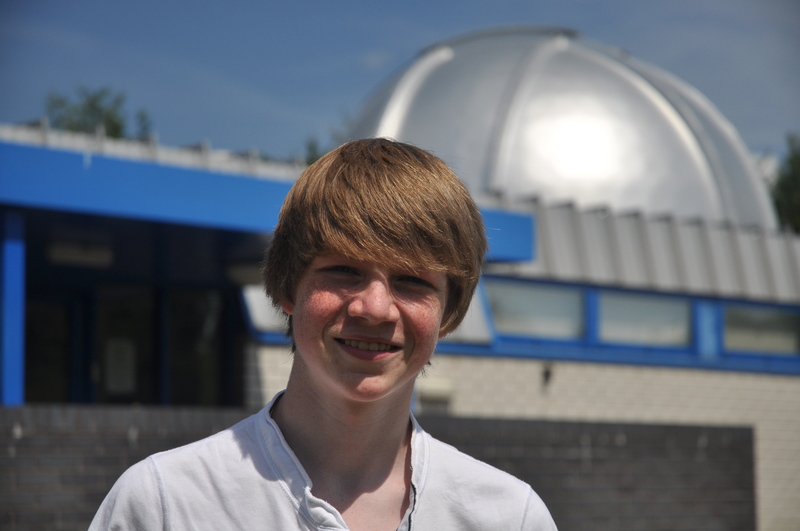 “I’m hugely excited to have found a new planet, and I’m very impressed that we can find them so far away”, says Tom, now aged 17. It has taken two years of further observations to prove that Tom’s discovery really is a planet. Tom found the planet by looking at data collected by the WASP project, which surveys the night skies monitoring millions of stars to look for the tell-tale tiny dips (transits) caused by planets passing in front of their host star. 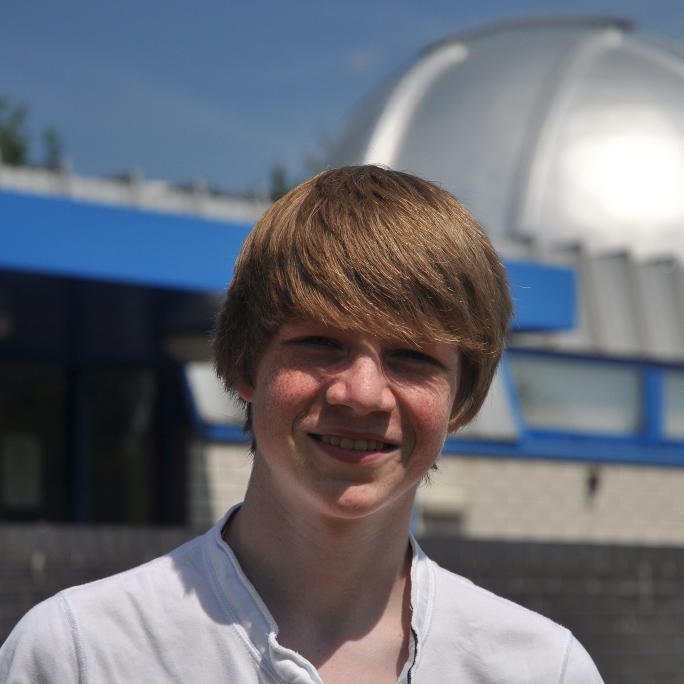 “The WASP software was impressive, enabling me to search through hundreds of different stars, looking for ones that have a planet”, says Tom. The planet is the same size as Jupiter, but orbits its star in only 2 days. With such a short orbital period the transits occur frequently, making such planets much easier to find. An artist’s impression of the planet WASP-142b, depicted as seen from a hypothetical moon. Updates: Coverage on about 300 news websites worldwide, including: BBC News, ITV News, CNN, TIME, Salon, Yahoo News, The Huffington Post, The Washington Post, Toronto Star, The Telegraph, The Guardian, The Independent, Der Spiegel, News Deutschland, India Today, IOL South Africa, France, Chile, Australia, Mexico, China, and Russia. 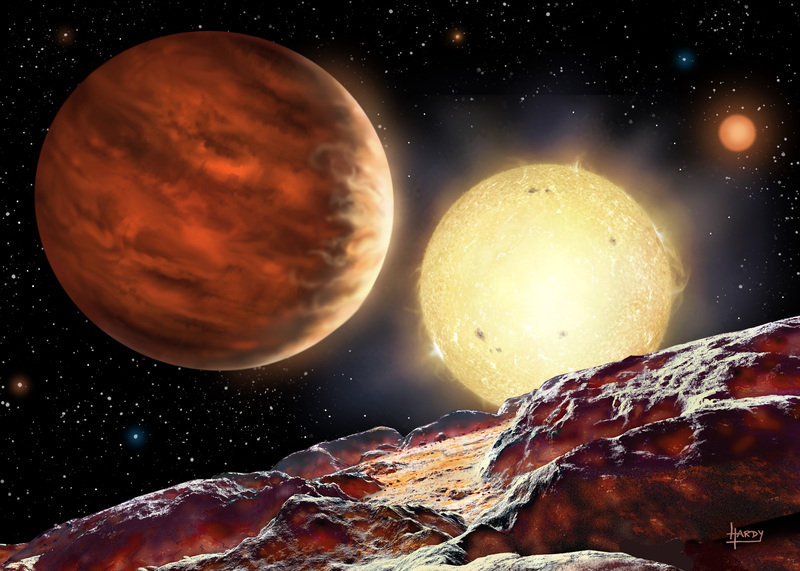 This entry was posted in Hot Jupiters, WASP planets, WASP project and tagged exoplanets, Tom Wagg, transit, WASP-142b on June 10, 2015 by waspplanets.